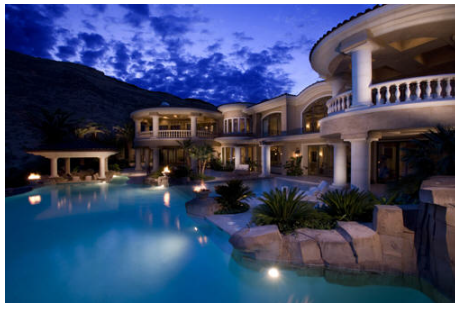 producing and closing sales for Las Vegas & Henderson Nevada Real Estate Markets. Realtor Broker sales representation is valuable for any buyer or seller for real property sales in general. Jonathan Abbinante is Broker Owner of ROCKIN THE HOUSE and has been selling Las Vegas Real Estate Since 1997. Locating a home to purchase or trying to sell your home on your own could lead you down hill with serious implications.There is simply to many legal factors at play against the persons involved in a Real Estate transaction trying to do so without Broker sales representation. When buyers go for a drive along with there favorite news paper or online smart devise looking for Homes on there own and calling on the Realtors for sale signs, the first experience the buyer gives up after entering the home with such an agent employed by the seller is personal representation. The Listing agent you entered the home with has now become your agent to purchase. I guess a buyer in this situation could request that the broker give the purchase representation over to another agent in that listing agents office ,, but the bottom line is all sub-agents of that brokers office represent the better interest of the home owner of that property from a legal stand point and there will be a dual agency disclosure due to this. Some buyers to this very day do think there going to produce some better results or get a better deal if there is only one Las Vegas Realtor to be working with, going directly to the sellers agent. The situation of doing this style of buying leaves a buyer absolutely vulnerable during the multiple stages of the Real Estate transaction. Buyers both experienced and first time don’t have the understanding of how to come out on top of every step and change that will happen during the escrow sale. For example, Its hard to get the right information , subdivision comparables, during the appraisal or renegotiating the deal after the appraisal doesn’t come in after being appraised.. In that situation of time the deal is re-negotiated and to who’s advantage when the agent your working with represents the seller? Many buyers at that point in time do get burned! Selling Real Estate for sale by owner has its own upsets due to the fact you need to be a professional these days to successfully sell your home with out any serious repercussions along with skillfully getting every dollar possible for your home. Seeing buyers and sellers fill up court rooms today due to no representation on both ends of the deal is very common. Again due to the multiple stages of a Real Estate transaction , the buyers may need to renegotiate the purchase price due to an appraisal failure, but the greed of the seller kicks in and refuses to comply. End result is a failure to close along with the buyer fighting to get there earnest deposit back. Another simple example is when the property report comes back with major problems, the buyer request repairs from the seller and simply the seller says no, again a failure of escrow that could have been avoided with proper Las Vegas Realtor broker representation to work out the multiple stages of the sale along with creating a healthy buffer to keep the parties from speaking directly to each other. Jonathan Abbinante Las Vegas Realtor Broker . One great advantage both buyers and sellers have at there finger tips is the Las Vegas M.L.S service, all homes listed in such are Realtor Broker represented. The buyers that present offers to sellers by Realtor sales representation have been previously pre-screened to be genuine bank or cash approved buyers. Such buyers reach Realtors through the mls listing service and become credible buyers by the pre screening of there purchasing background. I offers all buyers or sellers excellent attention and solid Realtor Broker representation. I work all Henderson Nevada and Greater Las Vegas areas. Property Management as-well. This entry was posted on Tuesday, March 29th, 2011 at 1:38 am	and is filed under Real Estate Articles. You can follow any responses to this entry through the RSS 2.0 feed. Both comments and pings are currently closed.